For dome drawings, visit our download page. A Dome is a roof circular or (rarely) elliptical in plan and usually hemispherical in form, placed over a circular, square, oblong, or polygonal space. 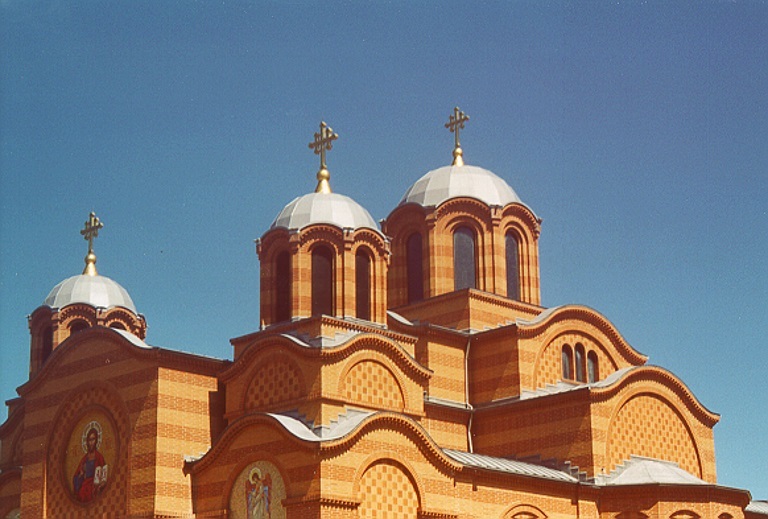 Domes have been built with a wide variety of outlines and of various materials. 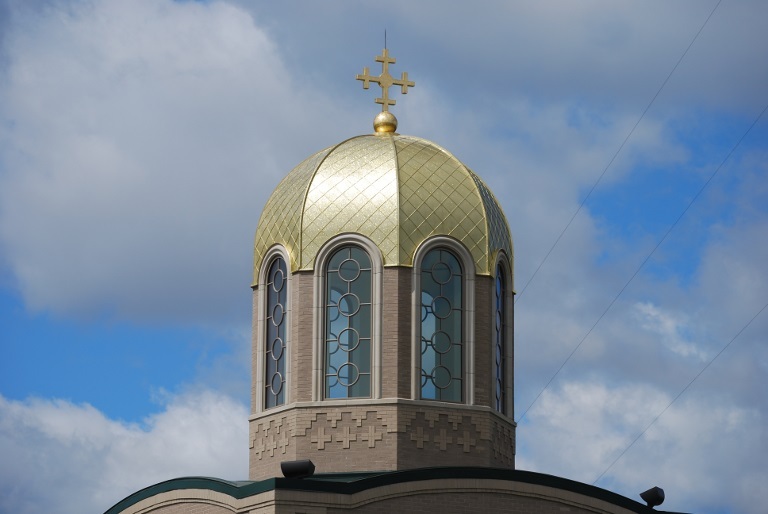 Architectural Fiberglass, Inc., specializes in the manufacture of fiberglass hemisphere domes and onion domes for commercial and religious institutions. True hemisphere domes are basically a half of a ball or sphere where the rise or height of the dome is half of the diameter. 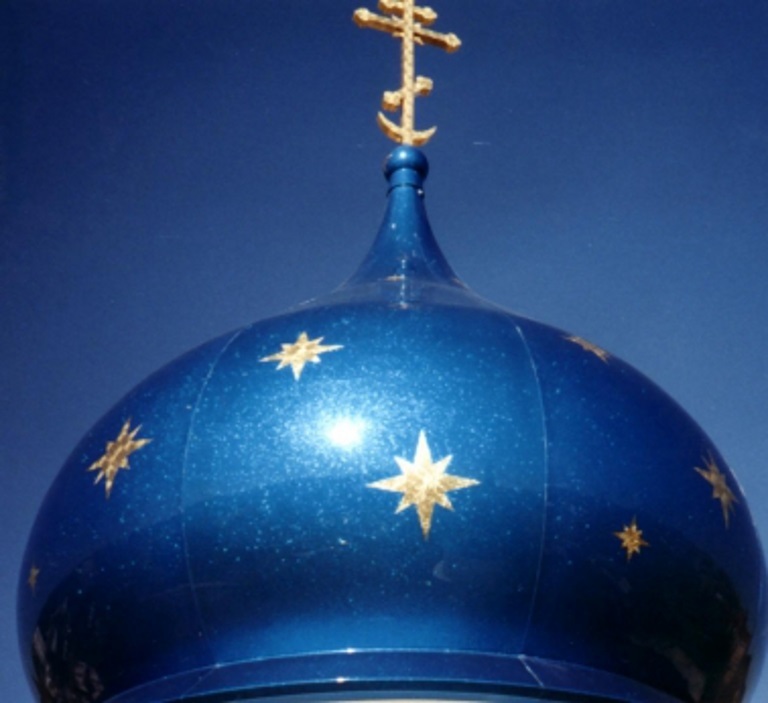 An onion dome is shaped differently usually with a wider mid belly and narrowing towards the top of the dome to a point. 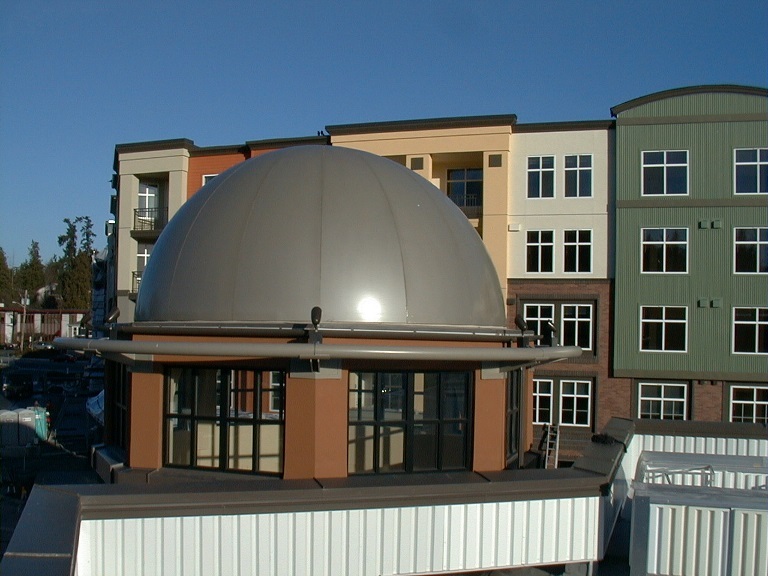 Architectural Fiberglass, Inc., can replicate existing domes removed from a building or manufacture new dome designs. 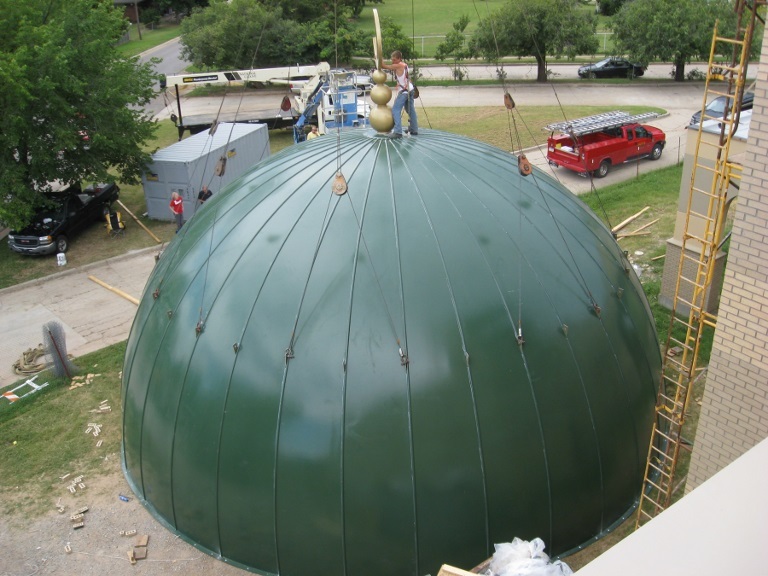 Our fiberglass domes range from smaller sizes to domes in excess of 40' in diameter. 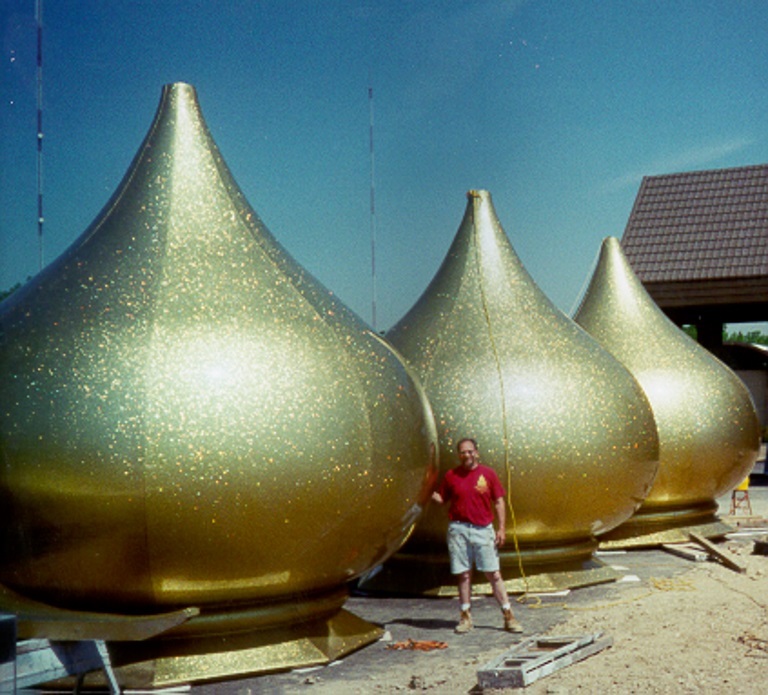 Being the leader in fiberglass dome manufacturing is not just a claim but our history and catalog of hemisphere domes and onion domes including over 200 different sizes and designs speaks for itself. 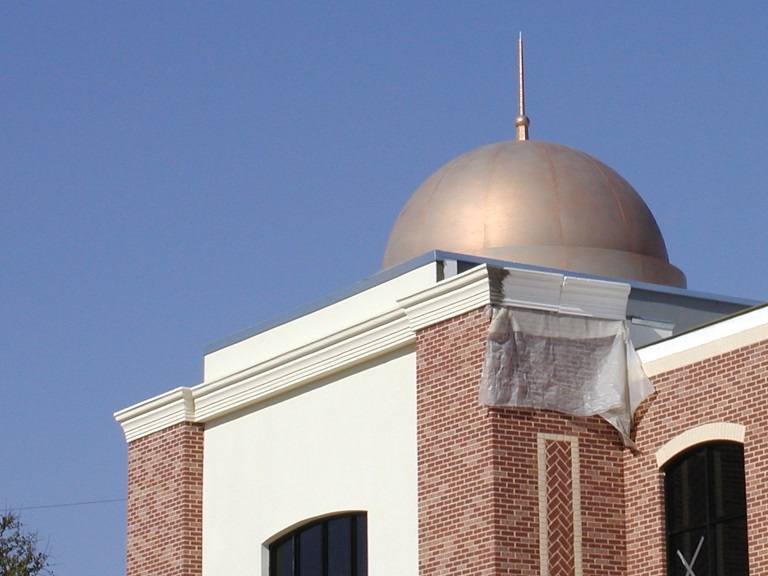 An advantage of fiberglass hemisphere domes and onion domes is the low maintenance, low weight, high strength, and unlimited design flexibility not possible with other materials. 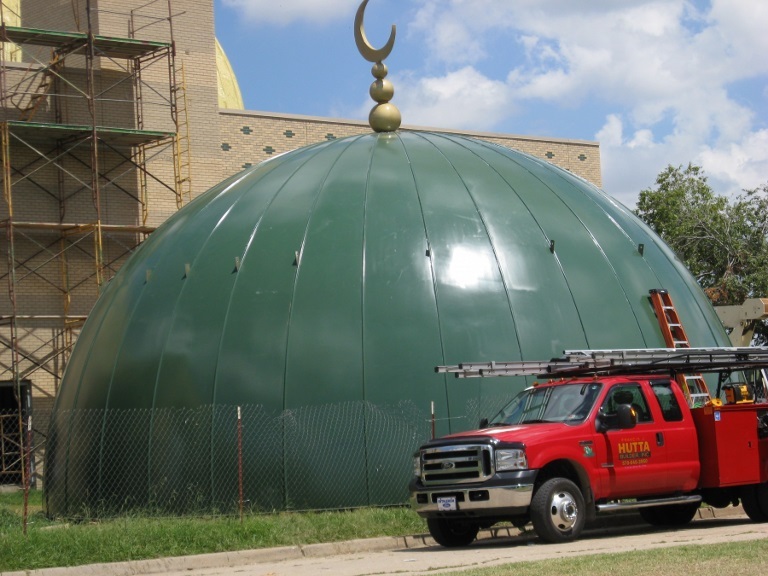 Fiberglass domes are resistant to rot, rust, corrosion, weather, and easily repaired in the event of damage. 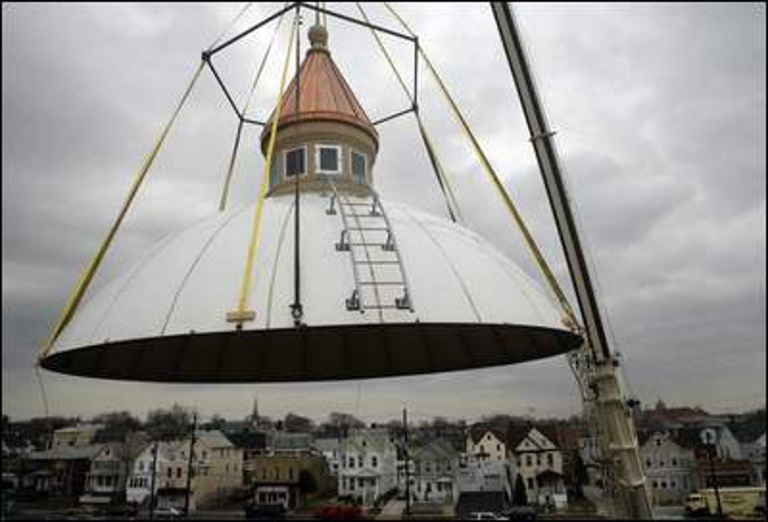 The weight of fiberglass domes compared to the strength and durability far exceeds other traditional materials. Domes are manufactured with latest technological advanced materials making our domes flame, hurricane, and earthquake resistant. 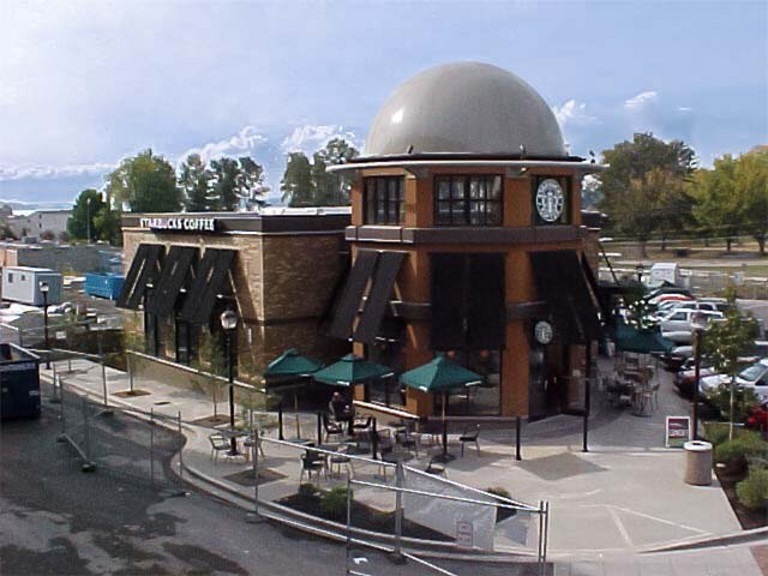 Fiberglass domes are frequently used where a lightweight structure is required that is strong and sustainable to weather extremes. 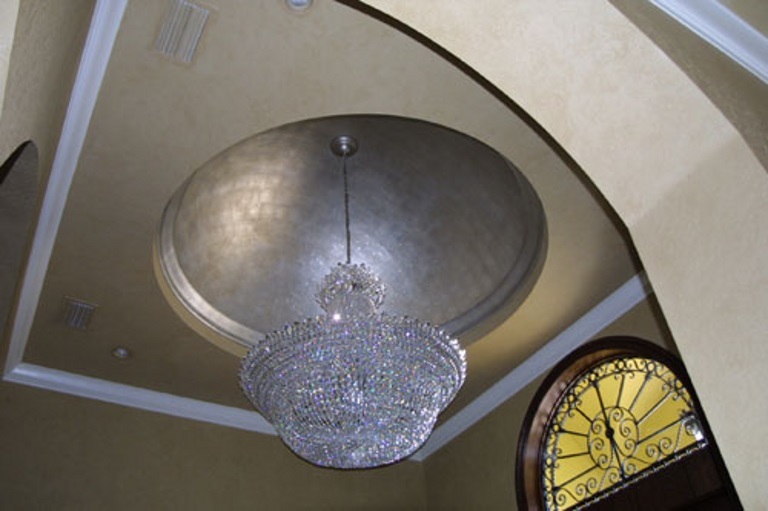 Fiberglass domes have the advantage over other materials because they can be molded into complex shapes. These shapes can be curved, corrugated, ribbed, or contoured in a variety of ways, with varying thickness. 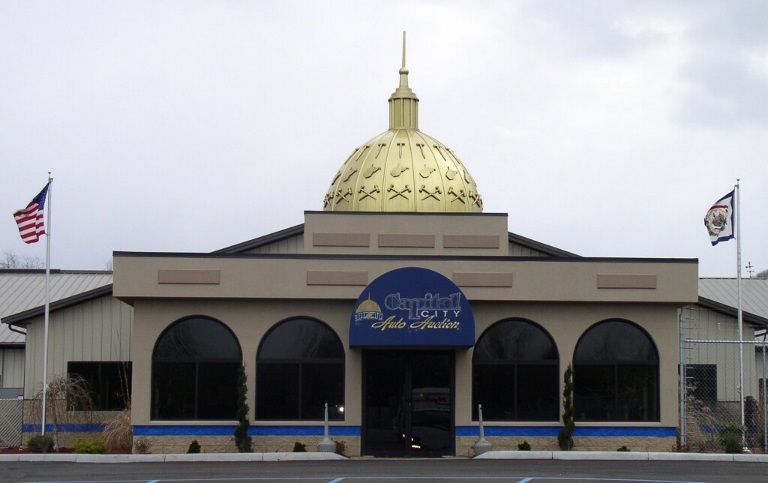 Fiberglass domes can replicate any traditional building material including, gold, copper, stainless steel, terra cotta, marble, granite, and stone. 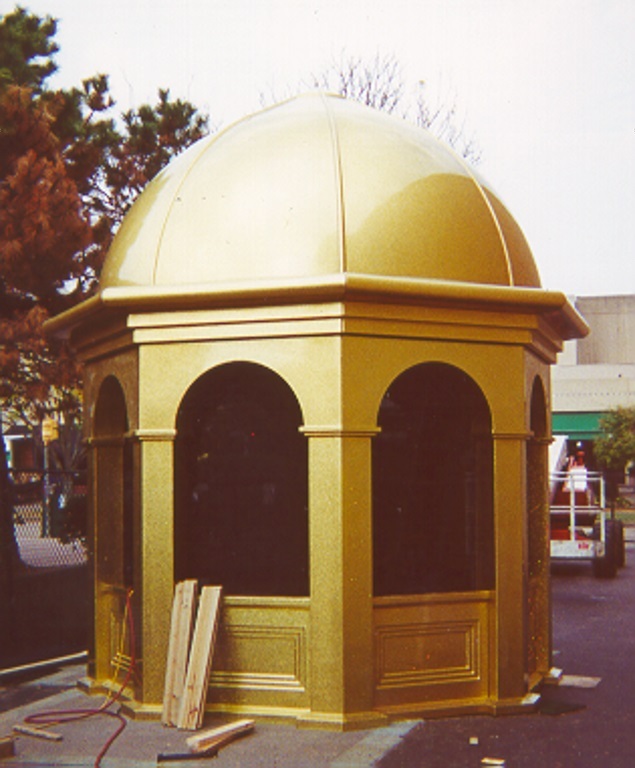 Our proprietary 22 Karat Gold Leaf finish is amongst the more popular finishes that we have incorporated in our fiberglass domes. Domes are usually crowned by a fiberglass decorative element including finials, pinnacles, crosses, urns, cupolas, towers, and lanterns. Fiberglass is a feasible alternative to the cost prohibitive traditional materials. 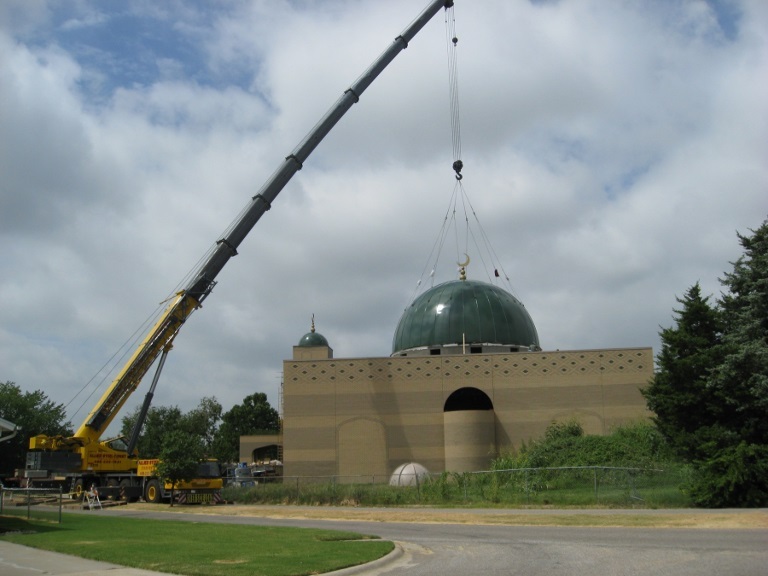 A majority of our projects have involved removing badly deteriorated or unattractive dome structures and replacing them with identical custom fiberglass domes. 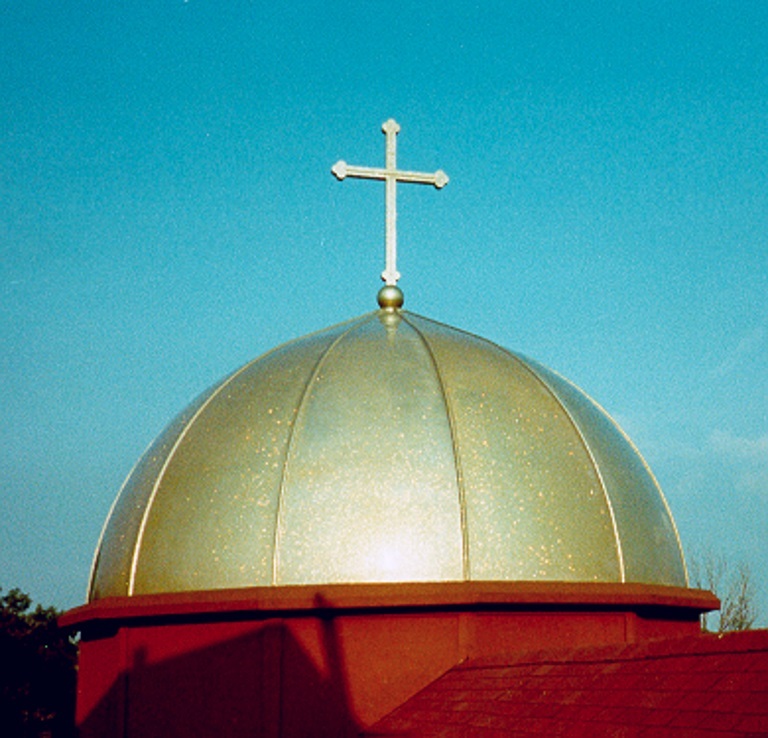 The durability and longevity of fiberglass domes far exceeds the life expectancy of domes manufactured from steel, aluminum, copper, concrete and other popular dome materials. 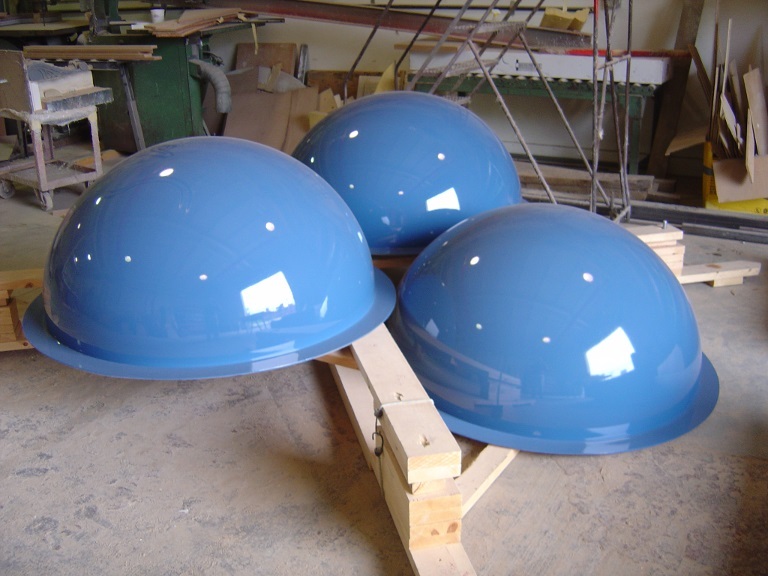 Fiberglass domes require no internal support structure and at only a nominal 1/4-inch thickness they are much lighter when compared to other materials. Interior domes can also be manufactured and incorporated with exterior domes. Fiberglass domes are pre-assembled, numbered, and labeled in our facility, to facilitate installation at the jobsite. 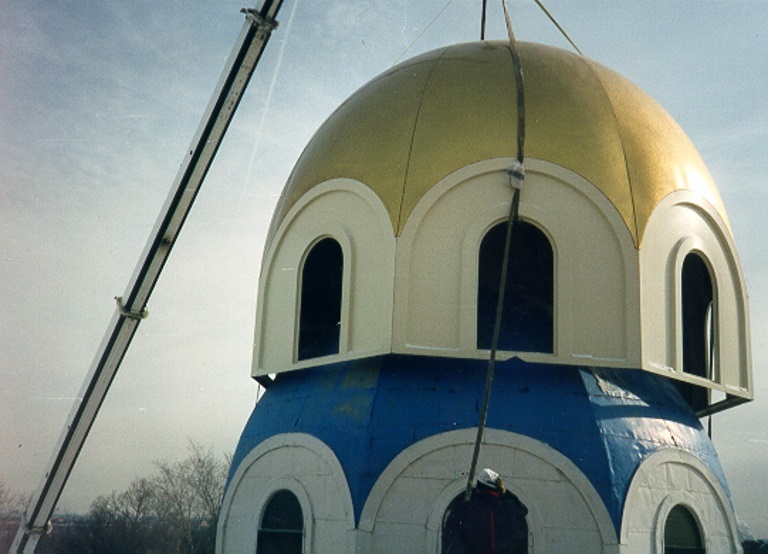 Domes can be assembled and installed at the project site in less than a day eliminating high labor costs. 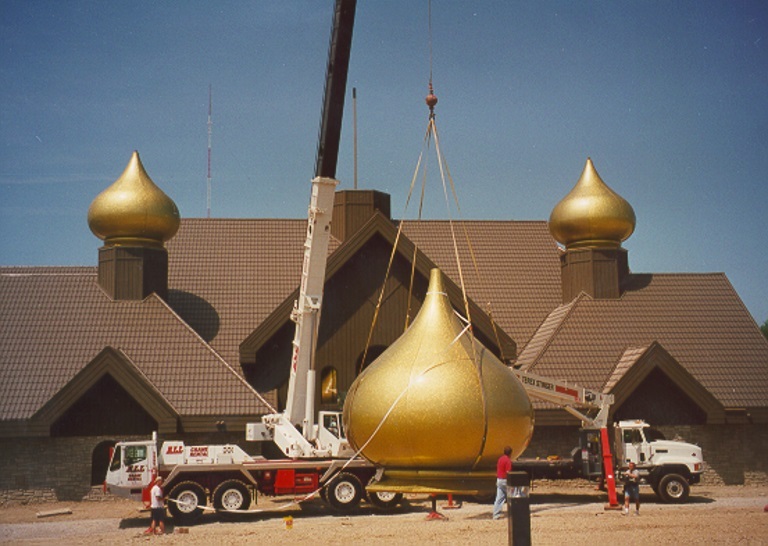 Usually domes are shipped in the largest sections possible that fit on a truck. The sections are "pie" shaped and bolted together at the jobsite. 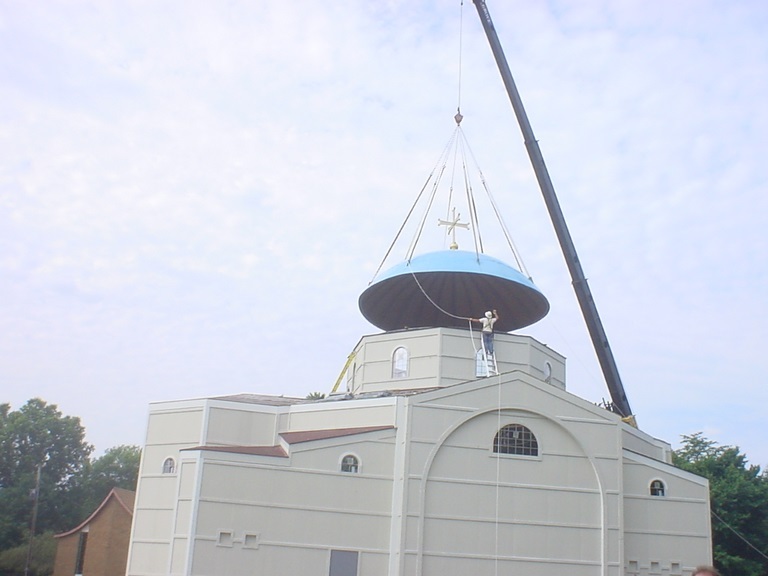 After the FRP dome is assembled it can be lifted with a crane as one unit. When placed on the building structure it only needs to be bolted down to the structure. 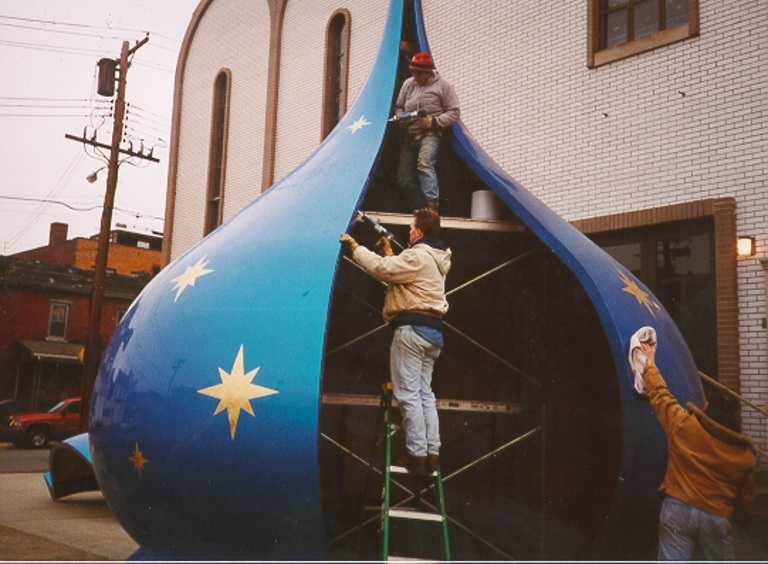 General contract workers and carpenters are frequently capable of assembling and installing our fiberglass domes. 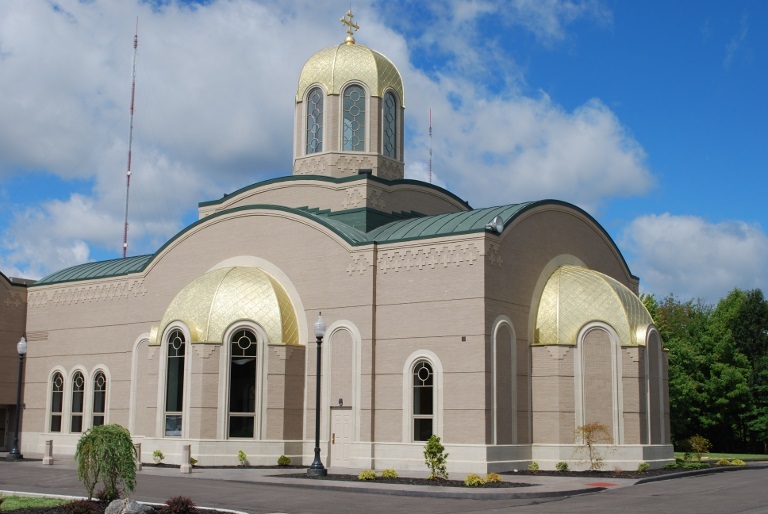 Our company was founded when our owner was faced with the dilemma of replacing badly deteriorated and fading aluminum domes on his own religious institution. 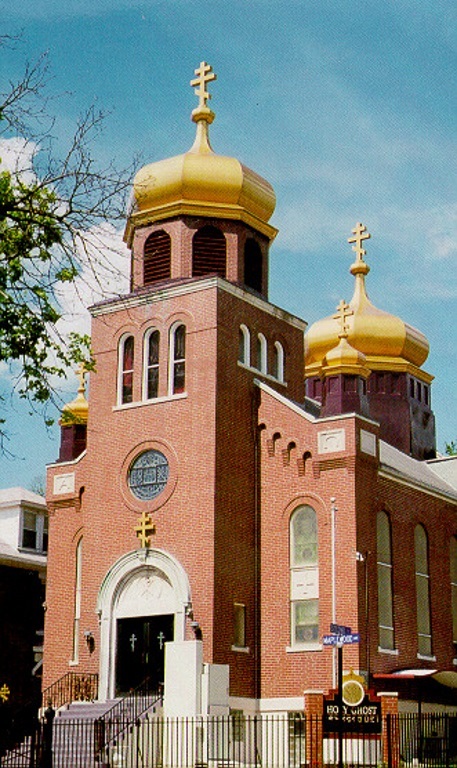 The aluminum domes leaked water for years causing damage on the inside of the building and the aluminum gold finish deteriorated making the domes unsightly. It was decided to coat the aluminum domes with a waterproofing material in order to eliminate the water infiltration. The aluminum domes still leaked water and caused even more damage to the inside of the building. 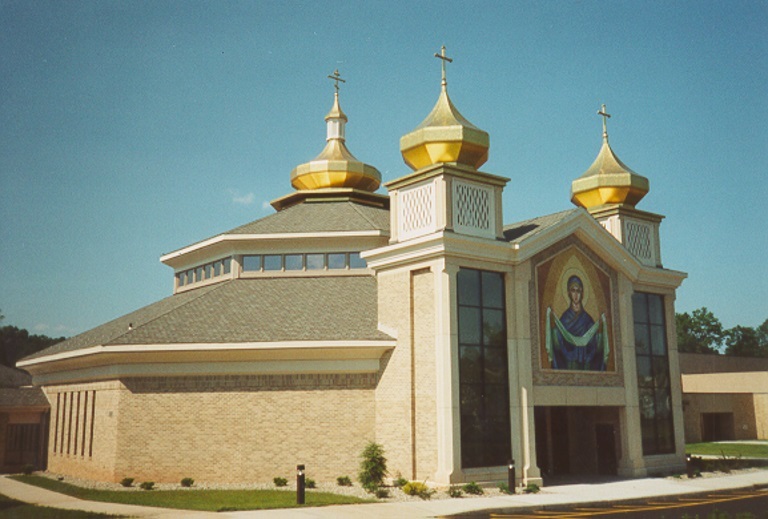 The aluminum domes were eventually removed and the roof structure below was waterproofed and sealed from the elements. The next dilemma was to come up with the solution as to how to replace the domes that have been removed. Some wanted to go back to aluminum but others did not want to use the same material that had already caused so many problems. Someone mentioned that perhaps fiberglass would work. If a boat can be made with fiberglass, why can't a dome be manufactured with the same materials. After thorough research of different materials it was determined that fiberglass may be the best suitable material for the aluminum dome replacement. The problem was that there were plenty of fiberglass boat manufacturers in the area but no fiberglass dome manufacturers. When the company was founded, not many other companies had the expertise or wanted to manufacture and erect such massive dome structures. 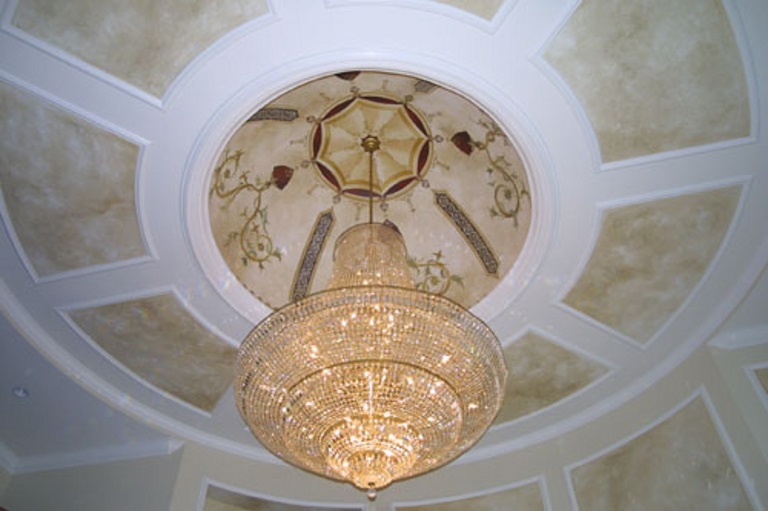 Architectural Fiberglass, Inc. was founded and has since become a leader in decorative fiberglass ornamentation. 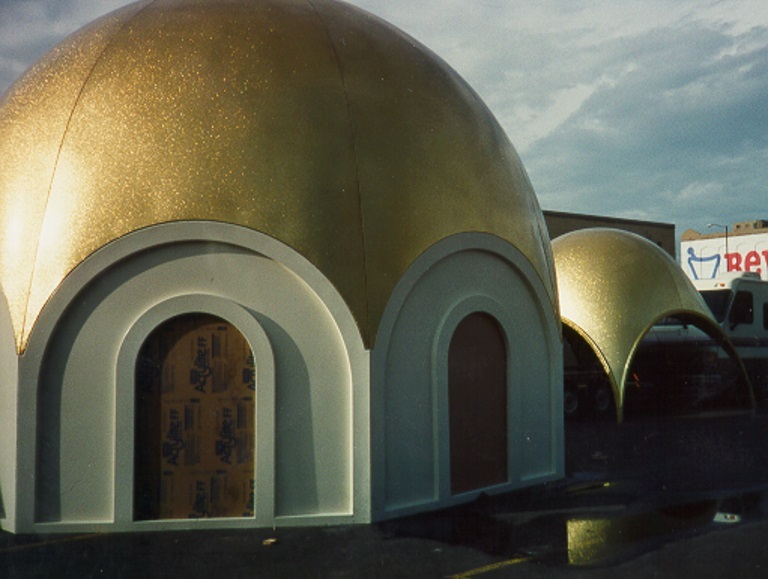 Throughout the years Architectural Fiberglass, Inc., has manufactured thousands of domes throughout the world. The earliest domes were probably roofed primitive huts and consisted of bent-over branches plastered with mud. Another primitive form, called a beehive dome, is constructed of concentric rings of corbeled stones and has a conical shape. Ancient examples have been found in the tombs of Mycenae and can also still be seen in the folk architecture of Sicily. Although there is evidence of widespread knowledge of the dome, its early use was apparently restricted to small structures built of mud brick. It was the Romans who first fully realized the architectural potentialities of the dome. The Roman development in dome construction culminated in the Pantheon (2d cent. AD). The Romans, however, failed to discover a proper handling of the pendentive - the device essential to placing a dome over a square compartment - that was finally achieved by the Byzantine builders of Hagia Sophia at Constantinople (AD 532-37). The other solution to placing a dome over a square was the squinch, which in the form of stalactites was to receive superb expression in Islamic architecture. Under Byzantine influence the Muslims early adopted the use of the dome; one of their first important monuments is the Dome of the Rock in Jerusalem. 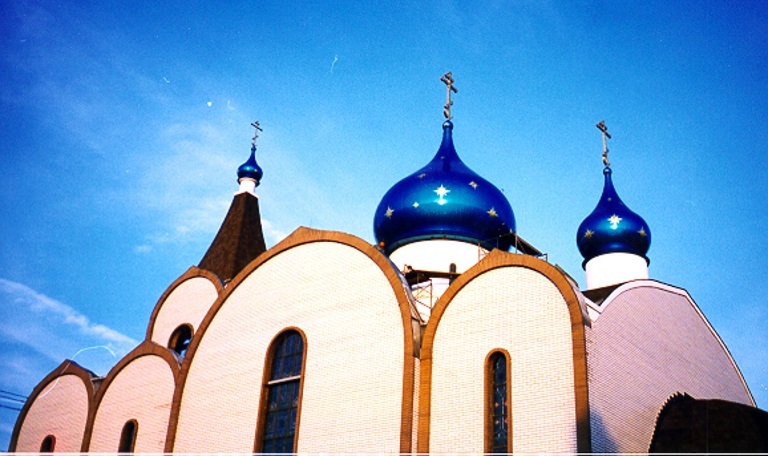 They often used the so-called Persian or onion dome. The most celebrated example is the Taj Mahal (AD 1630) at Agra, India. Both the influence of the Roman Pantheon and of the Byzantine pendentive came to bear on the designers of the Italian Renaissance, and the crossings of many churches of the period were covered by masonry domes on pendentives. Between pendentive and dome a circular drum usually was interposed, serving to give greater elevation and external importance as well as a space for the introduction of windows. By the addition of an outer shell, the exterior came to be independently designed for maximum effectiveness, and the placing of a lantern at the top of this outer shell provided an apex for the entire composition. The dome in modern architecture utilizes such materials of construction as reinforced and thin-shell concrete, glass and steel, and plastic. An innovative contemporary approach to the form is the geodesic dome. These are low-cost, geometrically determined hemispherical forms as promoted by architect Buckminster Fuller. Celebrated examples are Brunelleschi's octagonal ribbed dome for the Cathedral of Florence (1420-36); St. Peter's, Rome, designed by Michelangelo, with two masonry shells (completed 1590), internal diameter 137 ft (42 m); the Church of the Invalides, Paris, by J. H. Mansart (1706), 90 ft (27 m); St. Paul's Cathedral, London, by Sir Christopher Wren (1675-1710), 112 ft (34 m); and the Panthéon, Paris, by J. G. Soufflot (1775-81), 69 ft (21 m). The last three domes are built with triple shells, the middle shells serving to support the crowning lanterns. In the United States the dome of the Massachusetts state capitol, designed (1795) by Charles Bulfinch, established the dome as a distinctive feature for numerous later state capitols as well as for the national Capitol at Washington, D.C. 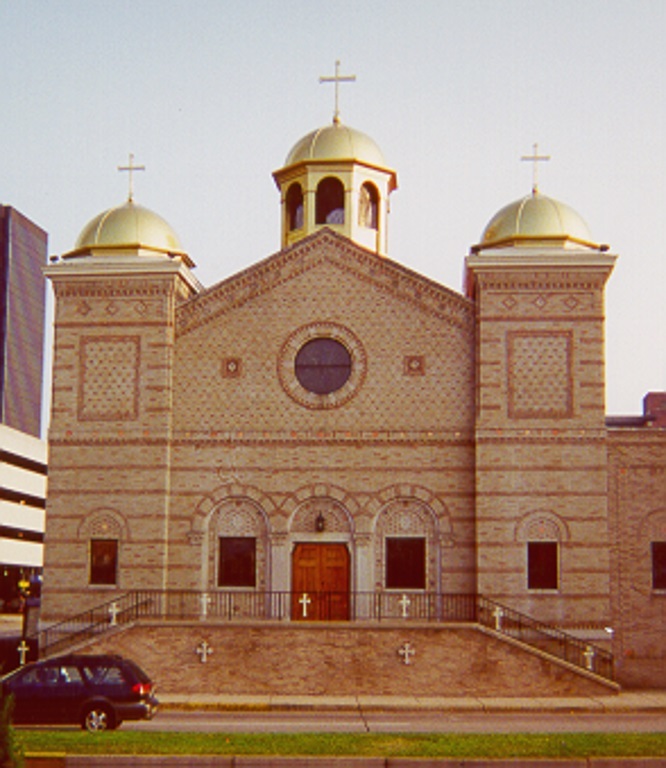 The dome of the latter, however, is of cast iron instead of masonry. The design, by T. U. Walter, has an inner diameter of 90 ft (27 m) and possesses great external impressiveness.